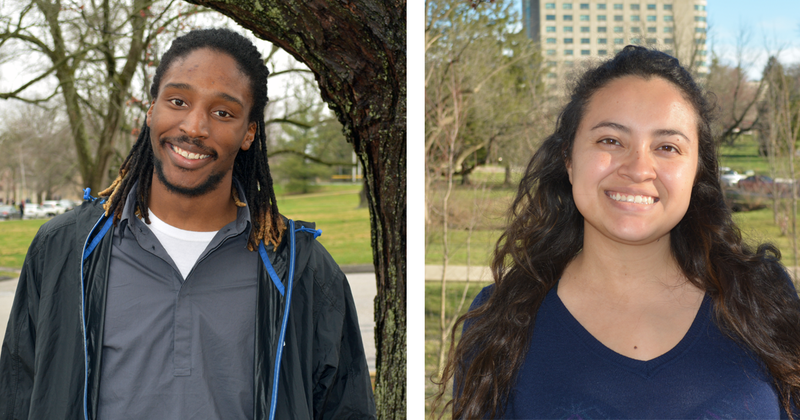 A pair of recent IU Bloomington graduates, Lucia Calderon and DeAnthony Nelson, are entering their professional lives as seasoned travelers, thanks to the Office of the Vice President for Diversity, Equity, and Multicultural Affairs (OVPDEMA) Office of Overseas Studies and Scholarships, a partnership with the IU Bloomington Office of the Provost. 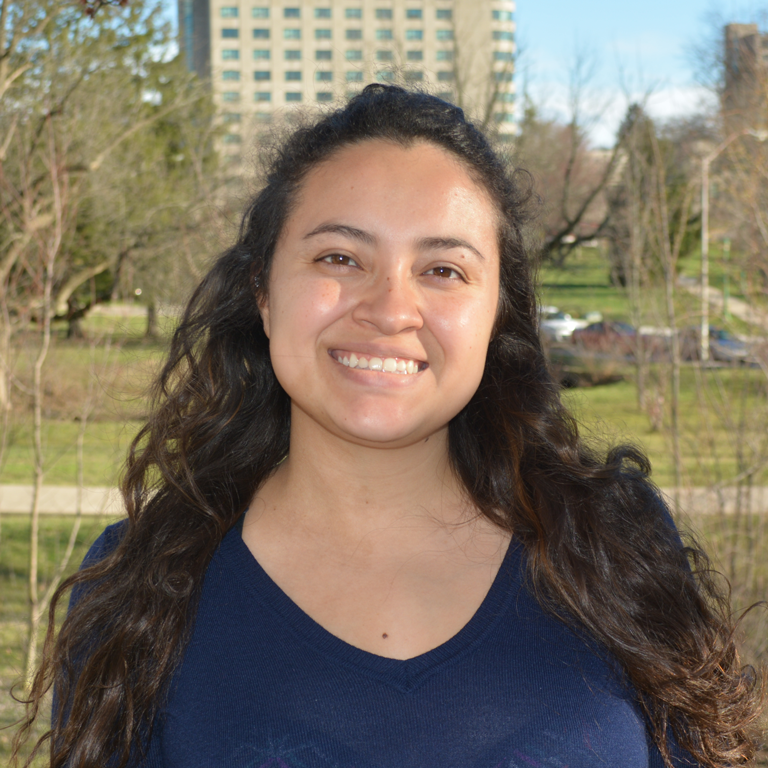 Calderon, a human development and family studies major from Valparaiso, Ind., was a member of the Hudson & Holland Scholars Program, an OVPDEMA program, in addition to the IU Swim Club, Latinos Unidos, and the IU Study Abroad office, where she worked as a peer counselor. Nelson, an Indianapolis native who was a non-profit management and civic political engagement major, was a 21st Century Scholar and Groups Program Scholar—both OVPDEMA programs—and worked as an ambassador for the Office of Admissions and the School of Public and Environmental Affairs (SPEA), in which he was a student. While both Nelson and Calderon were extremely driven students, they each revealed that studying abroad helped them develop not just a love for international travel, but a clearer focus of their respective professional futures. What sparked your interest in overseas study at IU? 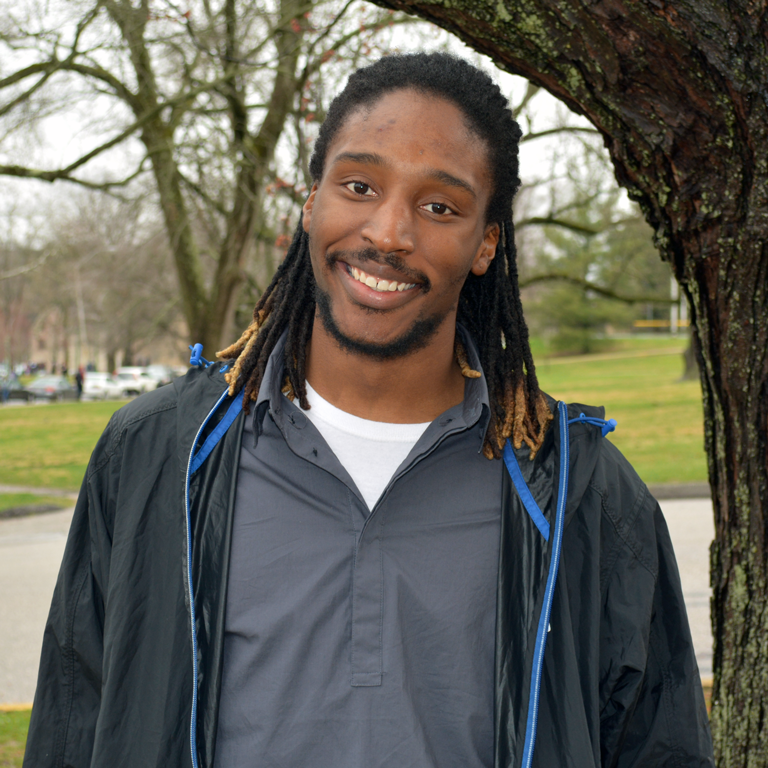 DeAnthony Nelson: Coming into college, I wanted to study abroad. IU had a ton of study abroad opportunities. I had never been overseas before. What really encouraged me to go overseas was the 21st Century Scholarship through OVPDEMA, and I was a Groups Scholar. The opportunities that OVPDEMA had to fund studying abroad was something I wanted to, but I held back from it because I wasn’t sure that I could cover it financially. Then I found out that OVPDEMA had scholarships. Lucia Calderon: I never thought studying abroad was going to be an option for me. I always assumed it was going to be really expensive and not something I could afford. I applied to the OVPDEMA India program the summer after my sophomore year because I knew it was a scholarship-based program. I didn’t realize I’d love traveling so much. I went to more of the OVPDEMA study abroad sessions and when I realized how many scholarships were available, I had to do it again. How would you describe your experiences studying abroad? Calderon: I studied abroad for a semester in Copenhagen, Denmark. It was amazing. I was really lucky and got the OVPDEMA and Hutton Honors College scholarship, so I got the whole program paid for and basically went there for free. It was just a completely different environment. We had oral final exams, so I had to learn a whole different way of studying. I really hated public speaking, but after those exams, I did presentations for the Study Abroad office and I’m super comfortable with public speaking. The people were just so open-minded. Everyone there knew so much about American politics that they expected you to have an opinion, so I feel like it forced me to get out of my shell and get more involved with my community here. I did a service-learning class, so I went to a forest preschool once a week. We cooked food on a fire and kids were climbing trees. We have helicopter parenting and over there, they’re the complete opposite. It was just a different atmosphere. India was a completely different experience. Going to Copenhagen, I was doing it on my own. With OVPDEMA, it was a group and we were going with professors, but it was a different atmosphere because it was a third-world country. I got to see things that definitely made me more appreciative of what I have. The trip to India was just so eye-opening. It was interesting because it was a completely different culture. We got to see the burials in the river. They have a different perception of death and afterlife. It was also great to visit universities and meet other college students, so we could compare their experiences to ours, like women in India getting an education compared to women in the U.S. It was cool that in our course prior to the trip, we got to talk about it, then we got to experience it. Nelson: I studied abroad through SPEA going into my junior year. I went to Dublin, Ireland and London, England. I went to Berlin, Germany for spring break. OVPDEMA had financial support for students who are part of 21st Century and Groups. I went to an OVPDEMA event, heard about their opportunities, and put my name in a listserv to learn more. It encouraged first-generation college students and other populations to study abroad over the summer, because their academic scholarships didn’t always apply over the summer. I was expecting everyone to be completely different. I was expecting them to have negative perspective on Americans, especially being a person of color studying abroad. Once I got over there, they were more open than what I thought and just from my experience, it seemed like they viewed me more as an American and didn’t necessarily tie me to being a person of color. Anything about American culture, they would apply to me or ask questions about. That was strange to me, because in America, I get asked about the African American experience. In England, we got to see a few different cities. I think what I liked most was the history and the architecture. Being in London, you could see the older architecture. It was beautiful to see how the city was laid out, and how diverse and populated London is. We went to a city called Bath, which was one of the first places that was conquered by Rome and it still has a lot of the Roman architecture. One memorable experience from my Ireland experience—the class was about conflict and dispute resolution—and what was interesting to me was that they didn’t have tons of racial diversity, but the conflict they have is about religion, Protestant and Catholic. I would encourage everyone to do it because it definitely changes you, develops you, you grow, and you learn so much more about the world, because no matter you do in life, you’re going to encounter people with different backgrounds and it teaches you how to work and learn from people with different backgrounds. How did your experience overseas impact you when you returned to IU and what advice would you give to other IU students? Calderon: It completely changed my career course. When I came to IU, I wanted to do occupational therapy. Now, I want to go into higher education and work in international studies. I think it made me realize how important education is and I feel like I had never gone to college, I would have never had the opportunity to have these experiences. I come from a lower-middle class family, so that was never anything that was in sight for me. A lot of people don’t know about these opportunities until they go to these random meetings and learn about them. When I came to IU, my view on education was that it was just something you had to do. Now, I really enjoy learning and it’s something that opens up so many doors for you. The first step to take is going to that meeting, and they usually have students like me who do presentations. I was born in Mexico and when I was in Denmark, people would ask where I was from. When I told them I was from the U.S., they would say, ‘Oh, you’re not blond and you don’t have blue eyes,’ so I would tell them that I’m originally from Mexico and a lot of them hadn’t met anyone from Mexico before. I was representing the Mexican people, which is an amazing and scary thing to do, but I was glad that I could teach them about my culture. I would tell other students not to be afraid to do it. It can be very intimidating, but don’t be afraid to take that first step. It’s going to be a lot of hard work, but it’s going to be worth it in the end. The first semester of my junior year, when I was applying to all of these scholarships, was my most stressful semester. But it’s so rewarding. You just can’t compare it to anything. It seems impossible, but it’s not. I applied to the OVPDEMA India program the summer after my sophomore year because I knew it was a scholarship-based program. I didn’t realize I’d love traveling so much. I went to more of the OVPDEMA study abroad sessions and when I realized how many scholarships were available, I had to do it again. Nelson: Before college, I never thought I would be out of the country, let alone out of the state. I really want to go to more places and I just hate that I started traveling so late in my college career, because I would have tried to squeeze in more programs. I’d never thought about working abroad and after studying abroad, it made me want to look for job opportunities out of the country or jobs where I could travel abroad. I never considered those sort of things before I studied abroad. When I tell other students where I’ve been, it’s like a “wow” factor. A lot of them have never been out of the country, so I just try to encourage them to do it. But a lot of them think they can’t afford it, so I tell them about the OVPDEMA scholarships and the opportunities that were presented to me. I know the main thing that people worry about is finances. But there are paid internships that you can do abroad, and there are scholarships through IU schools and programs. I got scholarships from OVPDEMA and my school, SPEA. I think it’s something that everyone should experience, and college is the perfect time because you can do it over the summer, during spring break, or at another university during the semester. With the semester programs, it’s nice being a 21st Century Scholar or having any scholarship because the way IU works, with a lot of the programs, to study abroad through IU, your scholarship transfers over. I would encourage everyone to do it because it definitely changes you, develops you, you grow, and you learn so much more about the world, because no matter you do in life, you’re going to encounter people with different backgrounds and it teaches you how to work and learn from people with different backgrounds. We can learn from our differences, but we can come together and collaborate, because we have a lot of similarities.